WASHINGTON -- U.S. Marine Gen. Joseph Dunford arrived in Afghanistan Monday with a mission to pull together the final elements of a military strategy that will include sending nearly 4,000 more U.S. troops into the country. 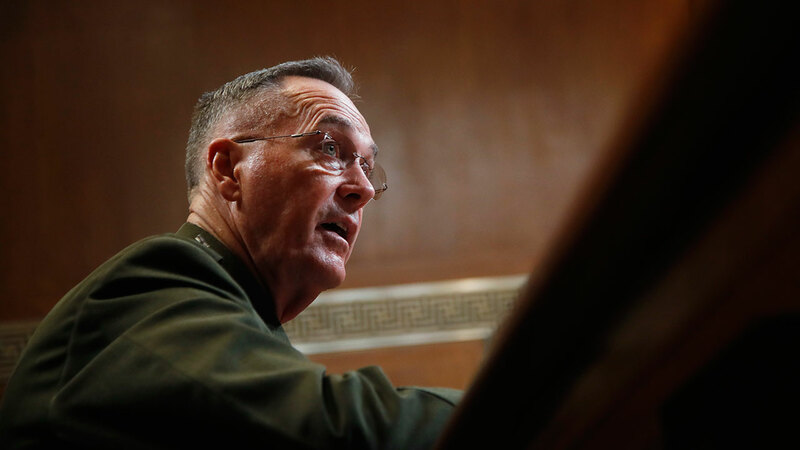 Dunford, the chairman of the Joint Chiefs of Staff, will be meeting with Afghanistan officials as well as American and coalition leaders and troops. U.S. Marines in Afghanistan's turbulent Helmand province are rekindling old relationships, and identifying weaknesses in the Afghan forces that the Trump administration hopes to address with the new strategy and the targeted infusion of American forces. The top U.S. commander in Helmand says that although the Afghan forces have improved their ability to fight, they still need help at some key underpinnings of a combat force.